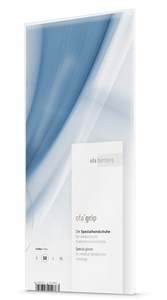 The Gilofa Med range offers prophylaxis and help in the case of typical widespread foot ailments. We offer a solution for the widespread toe malignment “Hallux Valgus”. Hallux Valgus is a misalignment outwards of the big toe. Usually the ball of the foot also obtrudes and the result is painful inflammation. 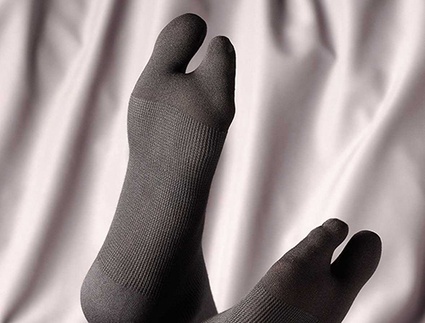 To counteract this problem, Ofa Bamberg has developed a special stocking with its own knitted tip for the big toe. 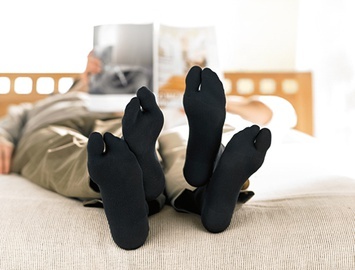 The big toe can move freely and without restriction. Pleasant side effect: the stocking combines the advantages of Gilofa support and travel stockings with a special tip. Too tight and elevated footwear can lead to painful toe displacements in the long run. The shoes continually press the big toe into an unnatural angle relative to the other toes. With time, the muscles and ligaments are no longer able to straighten the toe. This can further cause painful inflammation in the ball of the foot and even make surgical measures necessary. 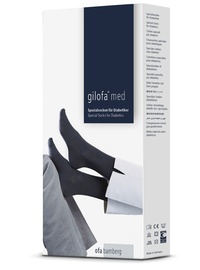 The Gilofa Med Special Support Stockings for hallux valgus combine the respective advantages of the Gilofa 2000 support and travel Stockings with a specialised toe tip. The separately knitted tip grants the big toe a great deal of freedom in respect to movement and causes no restrictions. These specialised support stockings are to be used as a preventive measure or following surgical operations. The product is suitable for immediate use. 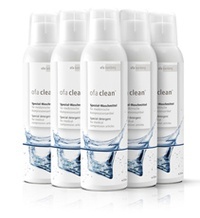 Our recommendation: wash before wearing for the first time. Wash every day (max. 30°C) and inside out. With commercial mild detergent (particularly suitable for compression stockings is Ofa clean special detergent), don´t use fabric softener. Rinse well, but don´t rub or wring. Air dry on a towel or in a tumbler dryer (delicates programme), never iron or dry on a radiator. Store in dry place, protect against direct sun. Avoid stockings with silicone coated grip tops being in contact with solvents, creams and moisturising liquid soap, as the adhesiveness can be badly affected. Maintain regular foot care and wear sensible footwear. Pilling is normal with textiles and no grounds for complaint. Never repair stockings yourself but return the damaged stocking to the specialist dealer the stocking was bought from.